Nam Kiwanuka has lived a fascinating life. From a childhood in Uganda during the Civil War to a life of new discoveries in Canada (ketchup on everything!) to an eventual career as a MuchMusic VJ and beyond, Nam has amassed a lot of stories to tell. In heartfelt, humour-filled keynotes, she shares her journey and inspires audiences to find their own way to change the world. Nam Kiwanuka has been a multi-platform journalist for over 15 years. 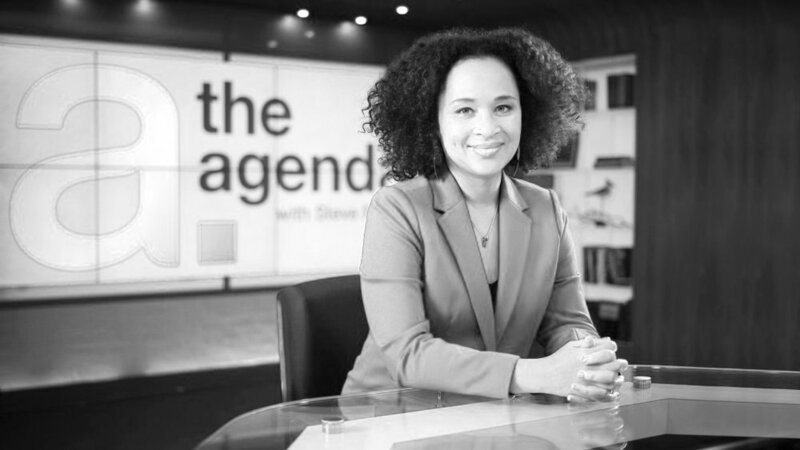 The current host of The Agenda in the Summer on TVO, she’s hosted magazine shows for the NBA and CFL and was a MuchMusic VJ. She’s worked with international broadcasters CNN and BET and was a columnist for the BBC’s Focus on Africa Magazine. She’s also been a contributor to The Marilyn Denis Show. In 2013 Nam was named an Emerging Filmmaker by the ReelWorld Film Festival. Nam lived in West Africa and volunteered as a media trainer with Journalists for Human Rights in Sierra Leone. After contracting Cerebral Malaria, Nam became an Ambassador for the Canadian Red Cross and helped to raise money for the organization's Malaria Bites campaign. She’s written for the Toronto Star, the Globe and Mail and was named a “Woman to Watch” by Chatelaine. Nam has conducted compelling interviews with Sean “Puff Daddy” Combs, Britney Spears, Magic Johnson, Justin Timberlake, Terry Crews, and many more. Touching the audience with her personal story, Nam Kiwanuka examines how we all—both those in power, and those in need—have the power to transform the lives of other human beings and bring about positive change in the world. Known for her confidence and cool head when hosting and interviewing brilliant intellectuals and public figures on The Agenda, Nam is as equally relaxed and charming on stage as she is in front of the camera. Available to host galas, conduct interviews, or emcee conferences and other events, Nam brings glamour, wit, and storytelling to everything she does.